You remember that time you woke up and thought, whew, I’m so glad it’s finally Friday. But then after the first cuppa Joe, you realized it was only Wednesday. Don’t you hate that? There’s another way of looking at it, you know. It’s kinda like getting a gift of two extra days, right? Well, good news, friends! 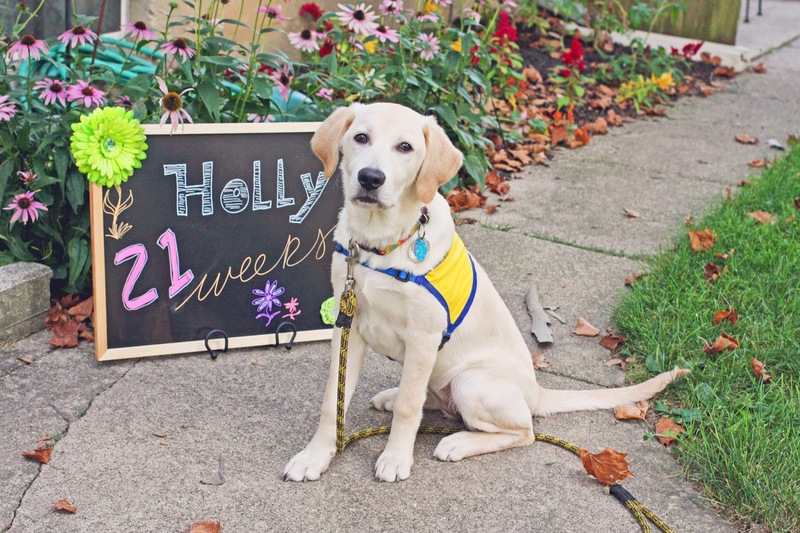 Instead of celebrating our usual Wordless Wednesday yesterday, we offer you an extension to your week by sharing the newest Watch Holly Grow photo on Thursday. But that’s not all! 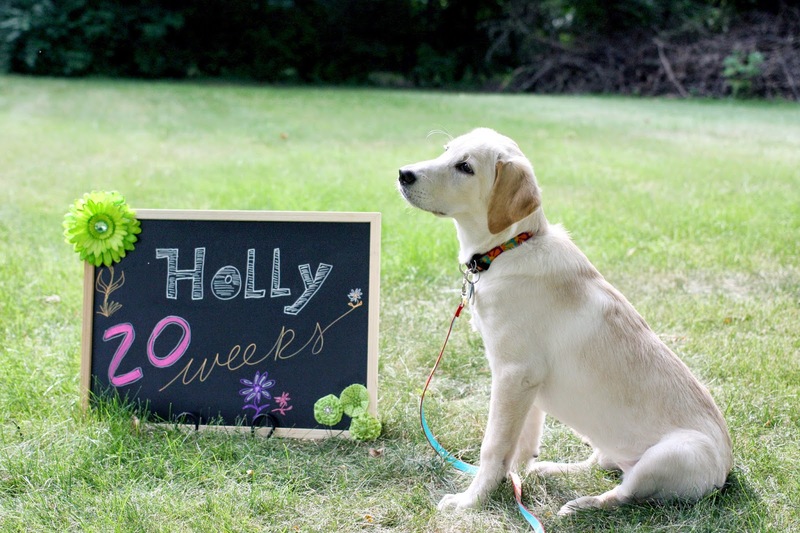 This week, when you enjoy Holly’s 21 Week photo, we’ll toss in her 20 Week shot for free! No additional mouse clicks needed for this 2 for 1 special. Right. If you were privy to my lamentations of an unbalanced life in our last story post, Skipping a Groove, you might see where all this is coming from. But not to worry. It’s not like I’ve forgotten to feed the dogs in all the latest stress overload. They would never allow that to happen. Hey, Food Lady, says Jager, tapping his wrist. It’s seven o’clock.